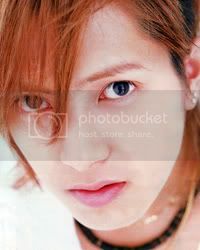 Yamapi - Okay, I think he's hot. ._. He's the only one of these guys I know from before. His character in Nobuta is so annoying, but I still got the hots for him. That's how hot he is. Let's not talk more about him. ._. Evil, evil guy. 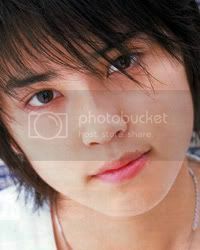 Yuya Tegoshi. o_O Funny name. Looks really cute and adorable, like a bunny. Looks also very young. 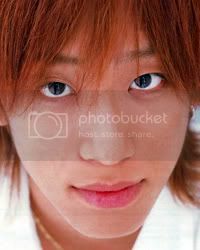 Koyama something. Hrm... I guess he must have a shining personality. 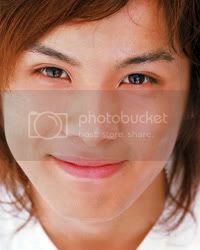 o_o He has Miyabi's (Berryz) teeth LOL. Hironori Kusano. I'll remember those eyebrows LOL. He's pretty cute. I like the moles close to his eye. Takahisa Masuda. He reminds me of Makoto energy-wise. I mean, I've never seen him on video, but on the pic up there ^ he looks like an energybomb. Looks like a fun guy to hang out with, someone who's pure fun and love, maybe a bit innocent. Like there's nothing bad in him. And YES I came up with all of this only based on one picture. 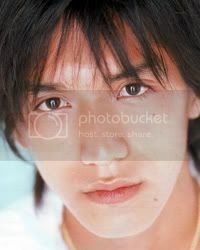 Ryo Nishikido. This guy I'd have a love-hate relationship with. Ok, so he's handsome and has great eyes. But at the same time I get this smug vibe from him. Like he thinks he's better than others. 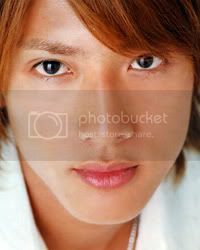 I get it from Yamapi a bit, too, but it doesn't matter that much with him. 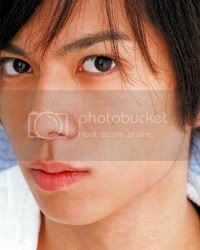 Maybe that means I might really fall for this Ryo guy, since just his face makes me react so strongly. OR I could hate him with all I have, but I tend to choose love over hate. Tegoshi looks young, but he's legal! XD Tegoshi is actually pretty funny. People don't think at first that he'd be, but he is. UPLOAD ME MORE OF NEWS' SONGS THANK YOU. Thanks suki* ! Can't wait to listen ROFL. they're in hiatus right now right? OK HEY so, anyone got NewS vids? PVs, performances? I've only got Cherish PV. I'd like to learn to match voice + face so vids would be nice. EDIT : Moved piccies in first post down to make way for profiles. OK HEY so, anyone got NewS vids? 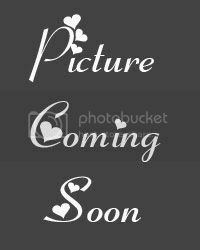 :P PVs, performances? I've only got Cherish PV. I'd like to learn to match voice + face so vids would be nice. I was expecting Ryo to really stand out to me, but he didn't really. That's weird, eh. Must go find the CDR which I stored NewS first appearance on 'Domoto Kyoudai'. It was so funny how Tsuyoshi was teaching Tegoshi how to do a 'TE-GO-SHI' action. I'll go look when I get home. Time to dig in the box again!! IT'S OKAY SUKI*, WE'RE JUST STARTING UP!! *huggles* Just need to find more girls to post... Or Tettekete and Thimas. One question I wanted to ask - are JE fans in general like H!P fans? 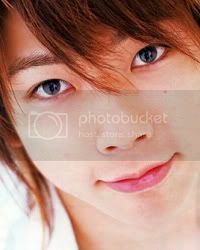 Like, are there Yamap haters because he gets too much spotlight, is there as much talent discussion as with H!P fans etc.? And yes! Suki's magic box is like Doraemon's bag ( sometimes ) -> Excessive amount of junk. And like fuyumi, I don't visit JE forums either. I rather read geino-news myself when I have the time. And yes. There are people who don't like Yamap coz the focus for NewS is on him. Flip through any of the JE-centric idol mags and you'll see the difference. Yamap always gets at least 1 extra photo spread on his own. Kame and Akanishi also get their own solo pages. The rest share print-space. Ahh...!! I'd better go take a nap. Lots to do here and there!! Page created in 0.433 seconds with 18 queries.